Hair is the most important part of the brush. Hair types vary in quality, price and performance characteristics. 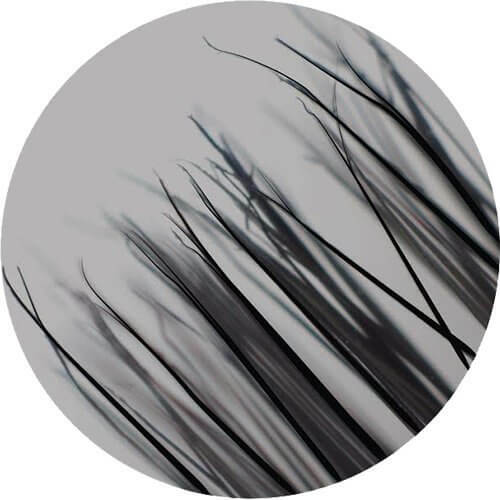 Princeton uses high quality natural and synthetic hair to meet the specific and discerning needs of artists. Higher quality hair will offer unique properties, which enable the brush to hold more color and retain shape and spring. Princeton offers the most complete selection of brushes for students, amateurs and professionals. A better quality hair makes a far better brush, and a better quality tool makes painting easier and more enjoyable. Brush hair is commonly divided into three types: natural hair, bristle, and synthetic. The quality of the brush and what the brush is best used for are dependent on hair type, blend, and construction. Natural hair, like sable, has a fine tapered point and a belly. The natural belly shape allows the brush to hold more water and paint, or other media, and spread color evenly. Natural hair is ideal for thin applications of paint and for detail work. Bristle is a stiffer, coarse, natural hair that often has flagged tips. Flagged tips are like split ends and hold more color. Bristle is great for basecoats, heavy-bodied paints like oils and acrylics, and for adding texture. Recent synthetic innovations by Princeton have created brushes that are not only comparable to natural hair, but in some ways considered an improvement in durability, cost, shape and absorbency. Princeton leads the industry in the invention of new synthetic applications such as this unique Polytip Bristle Brush which has flagged tips much like natural hair, and is equally responsive and more durable than natural hair. The paintbrush lines that incorporate natural hair and synthetic filaments, as well as various blends of these, offer a range of options for artists. 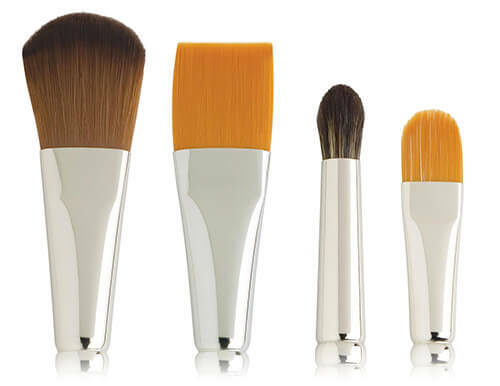 Frequently, the standard shapes and sizes in a brush line are made of a similar hair blend. Your chosen medium and the effect you’re looking for will determine which brush blend works best for you.